The best-loved fiction for children, teens and adults shares characters who feel familiar. This is because effective characters often have strong archetypal qualities. They have combinations of fears and goals – character psychology – we’ve seen before. 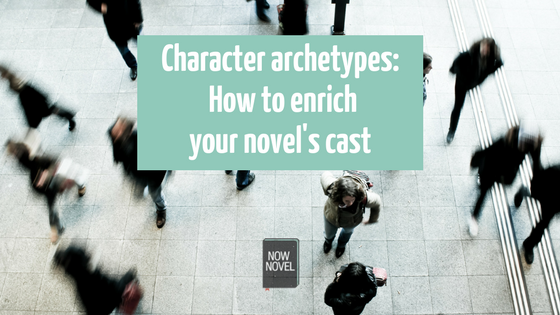 What are character archetypes, exactly, and how can you use them to make your novel’s cast more interesting? The first definition of the word ‘archetype’ is ‘a very typical example of a certain person or thing.’ (OED). The second is ‘an original which has been imitated’ or ‘prototype’ (OED). ‘Character archetypes’ are thus the blueprints for characters that we draw on. There’s a pool of stock characters writers adapt and vary. In Harry Potter, for example, we see the classic (even clichéd) fantasy figure of ‘the chosen orphan-meets-hero’. A third definition of archetype comes from psychoanalysis, the study of human psychology. Carl Jung described archetypes as the mental images inherited from ancestors that fill our collective unconscious minds as human beings who have rich networks of mental and emotional associations. Why are character archetypes useful for writers? Archetypes recur and repeat in fiction because they mimic real people’s similarities and differences. Take, for example, A.A. Milne’s famous children’s series featuring the easygoing bear Winnie the Pooh. Each character is a vivid archetype, a bundle of distinctive personality traits. Pooh is the archetypal phlegmatic or easy-going character. The self-described ‘bear of little brain’ plods along, seldom ruffled. Milne contrasts this with Pooh’s friend Piglet, who is timid and usually in a state of high anxiety or panic. The two friends contrast with another inhabitant of Milne’s world, Rabbit, who is bossy and hot-tempered. What Milne’s characters illustrate (and why they feel so real and ‘knowable’) is the dominant, archetypal aspects of our personalities. You might have a friend who is a nervous wreck like piglet; another like rabbit who is bossy and quick to anger. So how do you use character archetypes to build a diverse story cast? Sanguine: Sanguine or upbeat people look on the bright side – they’re ‘glass half full’ types who tend towards cheerfulness and usually bounce back easily from setbacks. Melancholic: Melancholic people and characters are the opposite end of the spectrum: They dwell more on the past and are more the ‘glass half empty’ types. They’re more sensitive to life’s knocks than their sanguine counterparts. Phlegmatic: Phlegmatic or easy-going types come across as lower in energy than sanguine types, but have more of a level emotional balance than melancholic or sanguine people. Choleric: Hot-tempered choleric people are feisty and fiery, quick to react when irritated. Like sanguine people, they’re high-energy, yet they have more of the negative outlook of a melancholic person. These are of course shorthand. We know real people are complex, often two or more contradictory things at once. People also change. Yet they are useful categories for focusing on how fictional characters differ in their temperaments and shortcomings. When you combine different archetypes you can get volatile character relationships. For example, in the Winnie the Pooh series, choleric Rabbit is often irritated by phlegmatic Pooh’s easygoing but impractical nature. In one story, Pooh eats too much while visiting Rabbit and gets stuck in his burrow’s entrance, to Rabbit’s immense frustration. To distinguish your characters and set up conflict (or attraction between opposites), make sure you use multiple archetypes as you flesh out your cast. In a novel or story, characters’ goals are crucial. They give the story purpose, drive and direction. They tell us why characters make specific choices that lead to scenarios. Carl Jung, in theorizing archetypes, defined twelve types of personality. He defined these in terms of people’s motivations and drives. It’s worthwhile reading Carl Golden’s concise summary of these archetypes here. Think of a well-known character from fiction. How do they combine the above characteristics? Take one of YA’s most famous characters, Harry Potter from J.K. Rowling’s hit fantasy series. At the start, Harry lives the ‘Orphan’ archetype’s greatest fear. His spiteful aunt and uncle exclude him. Out of fear of his difference, they constantly emphasize his non-belonging and demand gratitude while abusing him emotionally. Yet when Harry enters Hogwarts School, he finds an inclusive world of friendship, which fulfills the Orphan archetype’s core goal: belonging. This in turn gives him courage and support, both of which help him assume the ‘Hero’ role and confront the series’ villain. When you create primary characters for your book, think about how they could combine elements of the above archetypes. Is your protagonist an Explorer, for example, who craves freedom and thus avoids close relationships because they’re afraid of being tied down? Fictional characters are believable when they have goals, fears, talents and weaknesses like us. These elements interact with each other, and with other characters’ own attributes. A character whose weakness is fear of losing freedom, for example, might respond negatively to a Lover or Caregiver type who strives for attachment and close relationships. These interactions between contrasting archetypes make stories compelling, ring true. Take the protagonist and antagonist in Ken Kesey’s novel One Flew Over the Cuckoo’s Nest (1962). Anti-hero Randle McMurphy chooses to serve a sentence for battery and gambling at a psychiatric hospital rather than go to prison. Randle, the Rebel archetype, encounters the iron-fisted head nurse, Mildred Ratched, who controls her patients using rewards and shame. Ratched is a quintessential ‘Ruler’ archetype. These two archetypes – Ruler and Rebel – are each other’s nemesis. The story shows the conflict and drama that results when two opposite character archetypes are thrown together. Randle disrupts life in the psychiatric ward, encouraging patients to rebel, and this builds to eventual major conflict. In Randle, we also see the internal conflict within an archetype. Nurse Ratched’s dogged determination to curb Randle’s rebellion stokes the Rebel type’s greatest fear – loss of power. This eventually leads to Randle revealing the Rebel’s type’s shadow side (criminal action) when he attempts to strangle Ratched. The story thus shows us each element of the Rebel archetype, from the Rebel’s talent for charismatic rebellion to the shadow, violent side of rebellion. As you sketch characters for a story, think about their archetypal strengths and weaknesses. Like Kesey, reveal your characters’ core goals, fears and weaknesses at key points in your story arc. This will create complex, rich, compelling characters. 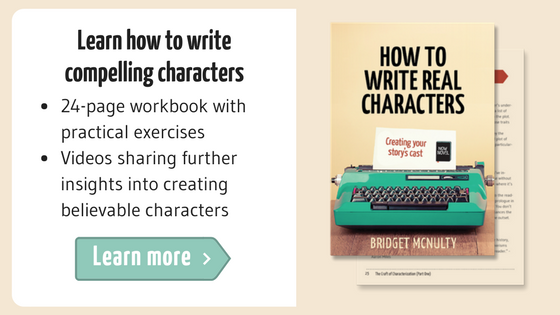 Ready to improve your character writing? Join Now Novel and get helpful feedback on your character creation. See our character writing hub for other top posts on character creation.